Salmoneus - Mortal king, son of Aeolus and Enrate, brother of Sisyphus and Athamas et al, husband of Alcidice, father of Tyro. King of Salmonia. Sarpedon (i) - Mortal, son of Zeus and Europa, brother of Minos and Rhadamanthys. King of Lycia, father of Evander and Antiphates. Sarpedon (ii) - Mortal, son of Zeus and Deidamia, grandson of Sarpedon. King of Lycia, killed in defence of Troy. Scamander – Potamoi god, son of Oceanus and Tethys, husband of Idaia, father of Teucer. God of the River Scamander, Trojan ally during Trojan War. Sciron - Mortal prince, son of Pylas. Prince of Megara. Scylla (i) – Sea monster, daughter of Phorcys and Ceto. Terrorised the Strait of Messina alongside Charybdis. Scylla (ii) - Mortal princess, daughter of Nisus and Habrote. Princess of Megara. Selene - Second generation Titan, daughter of Hyperion and Theia. 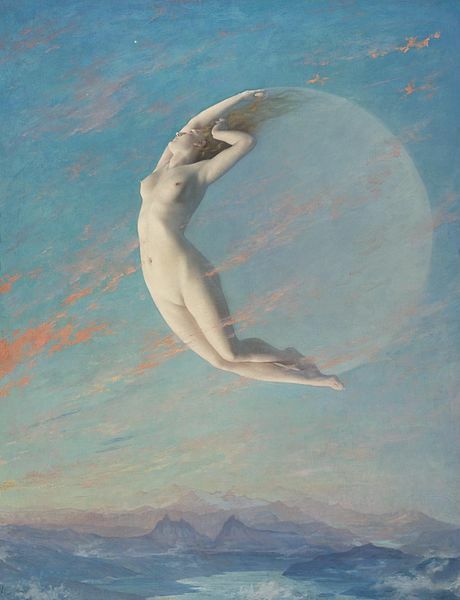 Greek goddess of the Moon. Sirens – Transformed Naiad nymphs, daughters of Achelous. Located upon the Island of the Sirens and encountered by the Argonauts and Odysseus. Sisyphus - Mortal king, son of Aeolus and Enrate, brother of Salmoneus and Athamas et al, husband of Tyro, father of Almus, Glaucus, Oryntion and Thersander. King of Ephyra. Sphinx – Monstrous beast, offspring of Orthrus and the Chimera. Terrorised Thebes until arrival of Oedipus. Steropes – First generation Cyclops, son of Ouranos and Gaia, brother to Agres and Brontes. Stilbon - Astra Planeta god, son of Astraeus and Eos. Greek god of the planet Mercury. Stheneboea - Mortal queen, daughter of Iobates, wife of Proetus. Queen of Tiryns. Sthenno - Gorgon, daughter of Phorcys and Ceto, sister of Euryale and Medusa. Personification of deadly submerged rocks. Styx – Oceanid daughter of Oceanus and Tethys, lover of Pallas, mother to Zelos, Nike, Bia and Cratus. Greek goddess of Hatred.